Original Content: When Can Changing Points Of View Work Really Well? When Can Changing Points Of View Work Really Well? When you're not changing points of view, you're just changing bodies. 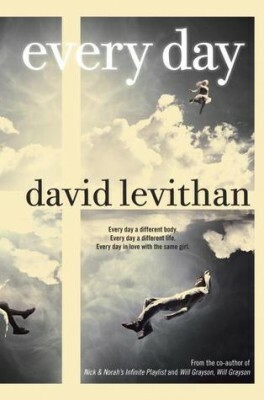 That's what's happening in David Levithan's pretty fine book Every Day. A, the mysterious protagonist who doesn't know who or even what he is, wakes up every morning in a new body and has to live that person's life for him or her for the next twenty-four hours. So though every chapter is the story of A being a new person and dealing with that new life, he is always A. We're not really getting a point of view switch at all. I'm still reading Wired for Story by Lisa Cron. One of the points that author makes is that humans are drawn to story because we evolved using it to help us survive, to help us determine and plan what we should do in various situations. Nowadays when reading fiction, the protagonists are stand ins for us, trying out different scenarios so we don't have to. If that is the case, Every Day is a treat for the brain, giving readers an opportunity to try out a large number of situations--being diabetic, beautiful, gay, depressed, obese, nasty, and kind, just for starters. The New York Time's review of the book made a big point about Every Day being a love story. Now that that's been pointed out to me, I guess it is. But A's basic situation and humanity are so engrossing that I didn't give that aspect of the book much thought. A appears to be aging along with the bodies he inhabits, meaning that at some point he always woke up in a five-year-old's body and then a six-year-old's and now he's in his teens. I believe he's supposed to be in tenth or eleventh grade. I do feel he is a little too mature sometimes, a little too much like the only adult in the room. But over all, the basic story is marvelous and the book is beautifully written. I had heard some talk of it last year, but I'm surprised I didn't hear more. I know it's been nominated for the Andre Norton Award for Young Adult Science Fiction and Fantasy. Some people on the Cybils team with me found this book SO DARNED FRUSTRATING, and that's usually the way it goes when a book isn't straightforward. Some people really love it, and others hate it. It was DEEPLY polarizing. I really think it has a lot to say about gender and identity and humanity, which made it a HUGE draw for me, but yes: that übermaturity. We had to remind ourselves that A was never human. "never human". Wow. That's a great thought, and one that never came to me. My feeling was, "oh, poor little boy" as in HUMAN boy "how can this be fixed for you?" It never occurred to me that he wasn't human. I don't think it occurred to him. But it's an explanation.